Russell Lynch is a country music singer and songwriter. He has charted 3 top 10 independent country songs in the U.S. including the #1 hit “Stuck in Between”, which was recorded in Nashville. His songs have also received a significant amount of airplay by radio stations in Europe and Australia. 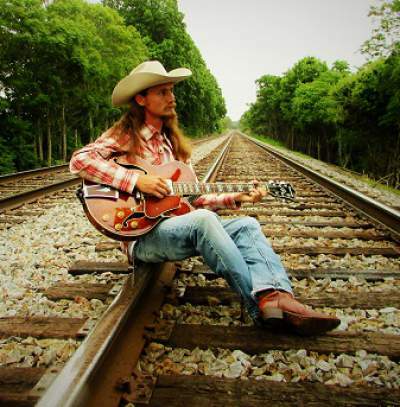 In 2003 Russell formed the band “Russell Lynch and the Southern Drunken Republicans” in Virginia Beach, VA, with some of the most talented local musicians and songwriters. They performed together for several years and recorded the “Long Lonely Road” album, released in 2015. Russell’s music has a vintage sound best described as Americana or traditional country with a rockabilly edge. His new song “Outlaw Country’s Comin’ Back” is the first single from an upcoming album of the same title.